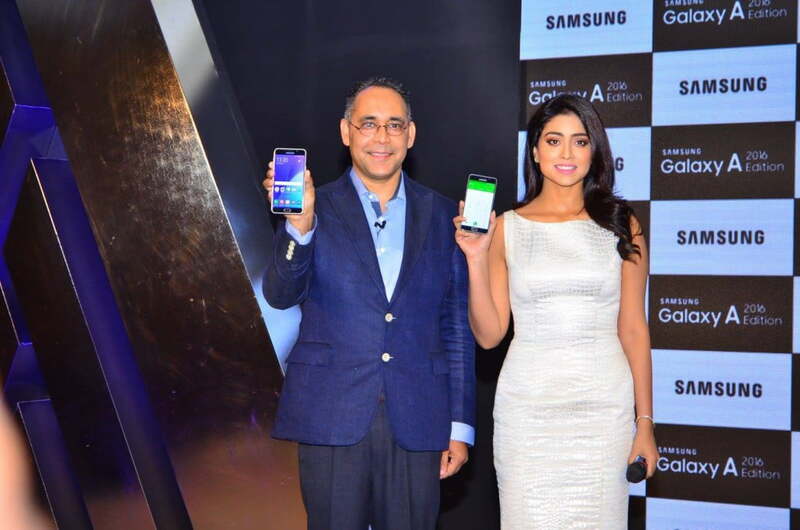 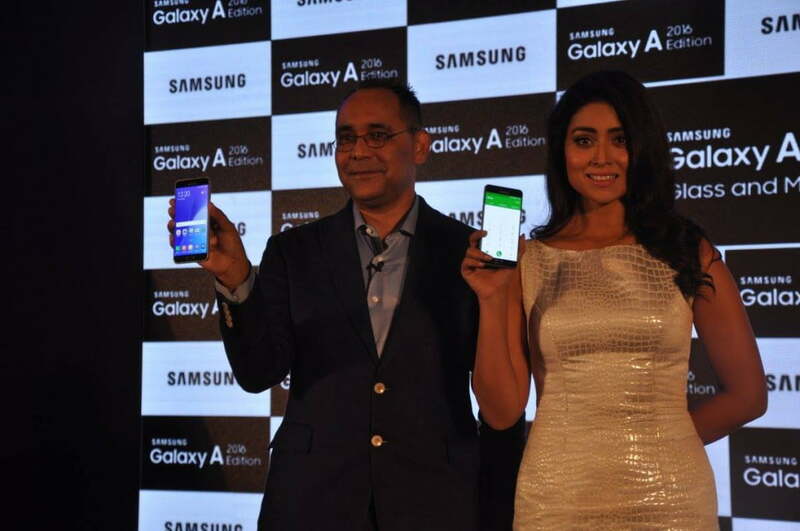 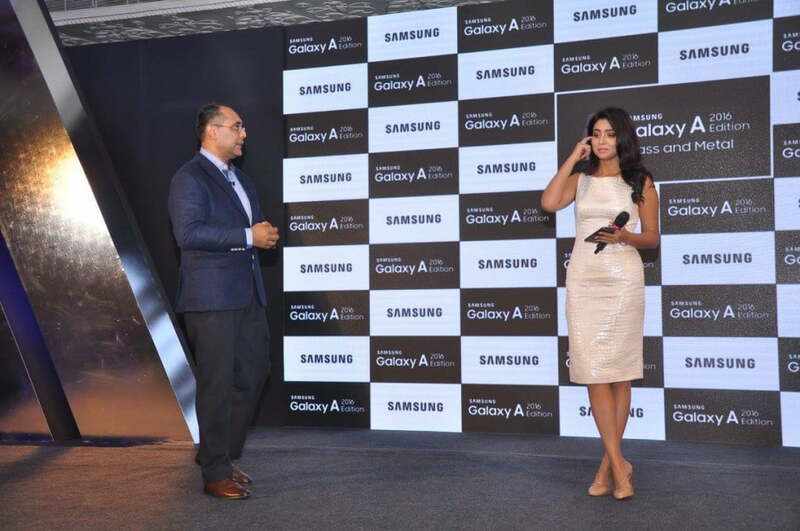 The New Flaunt Samsung Galaxy A 2016, Edition Launched in India by Shriya Saran. 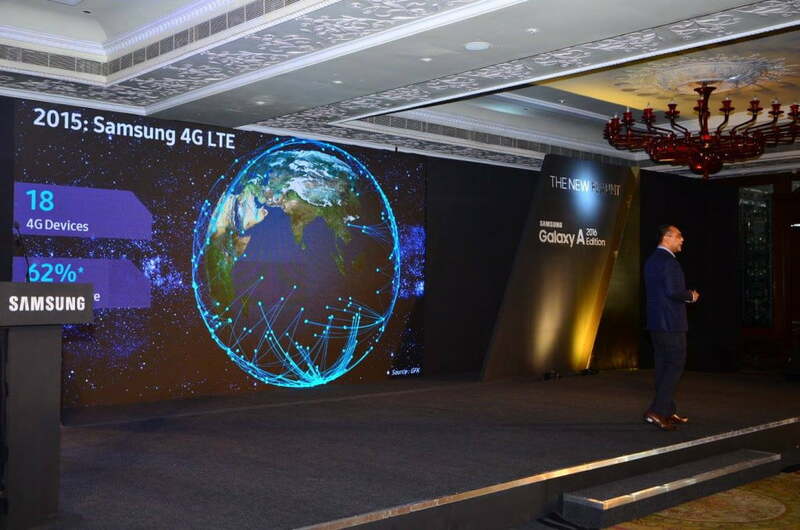 Display : 5.5″ sAmoled FHD. 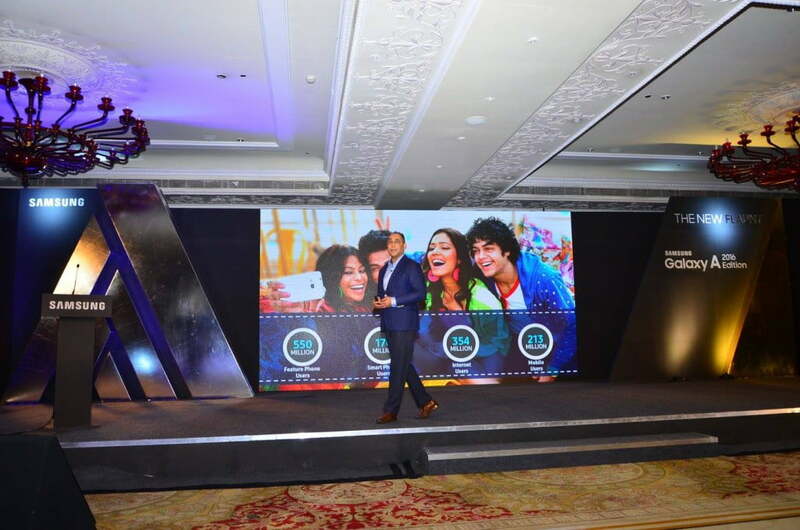 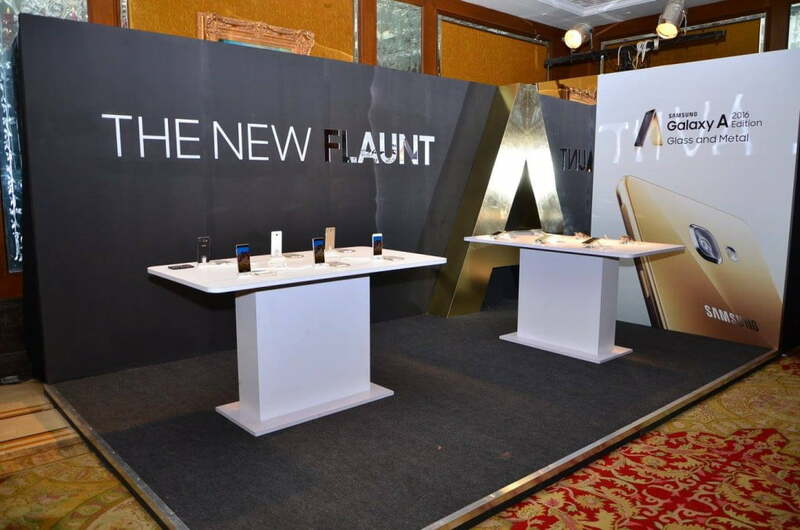 Images of The The New Flaunt Samsung Galaxy A 2016 Edition Launch in India. 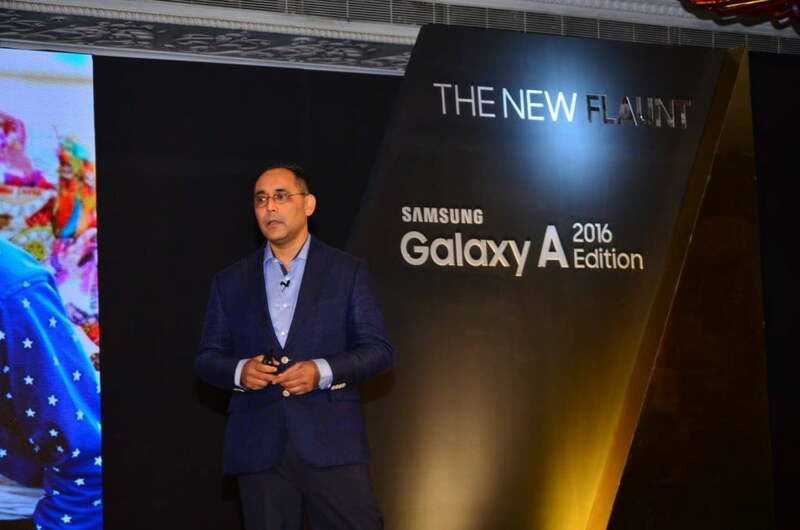 The 2016 Galaxy A series makes Samsung Pay practical for (almost) everyone. 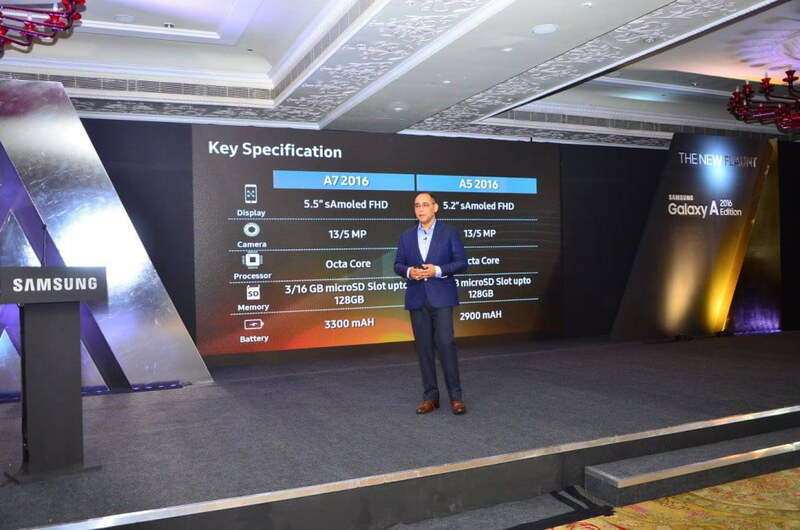 All of Samsung Galaxy A 2016 Edition have sharper displays (720p on the A3, 1080p on the A5 and A7), faster processors (1.5GHz quad-core and 1.6GHz octa-core) and higher-capacity batteries. 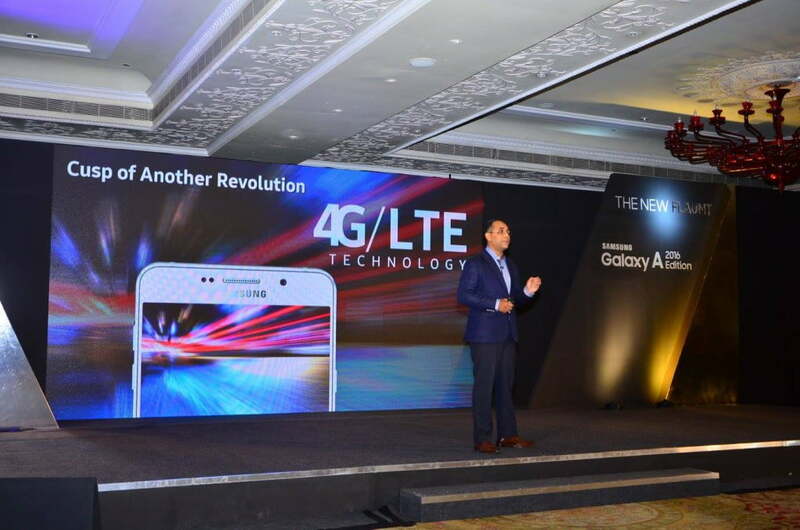 You’ll also find optical image stabilization on the 13-megapixel cameras for the two higher-end models, although little has changed for the 5-megapixel front shooters. 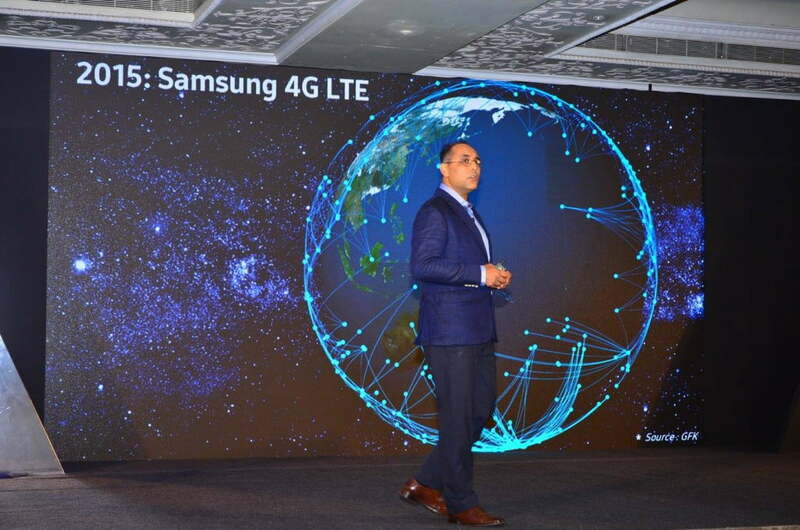 And yes, despite the trend among higher-end Samsung handsets, they still have microSD card slots to expand their built-in 16GB of storage.